I recently got a c.d full of his life drawings, sketches, and other drawings. I want to post some of his stuff, but I'm not sure if it would be wrong to do so. Here's a little taste of his stuff. BTW, he attended art center, like 15 yrs. 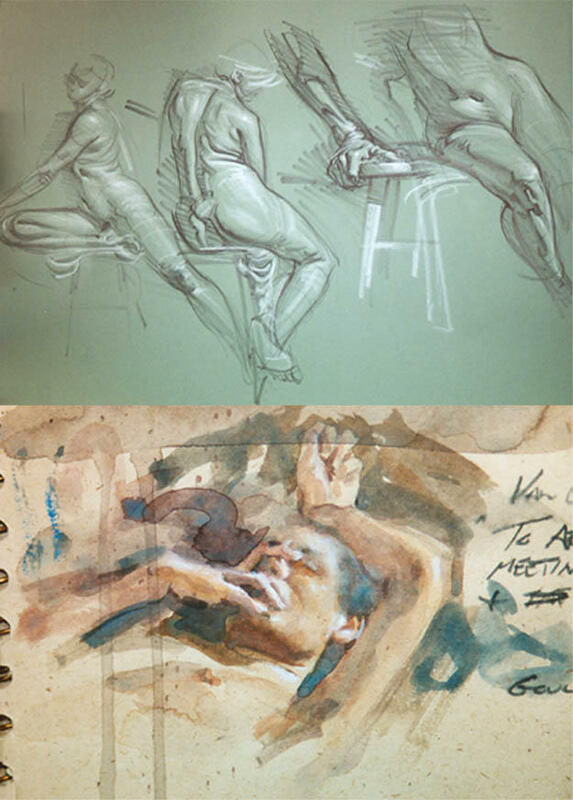 ago or so, and he taught Kevin Chen, some of my life drawing teachers and many, many others. He now teaches at Laguna College of art and design. The guy is freakin magnificent. So mod's, is it okay, do you think, if I post some of his artwork? If it isn't I will take it off! I love the houston, i remember meeting him at ringling , he is incrediable, I want that CD!!! I'll burn a copy just for you Andrew! You have to give me your address and such, if you want it. Where did you get the CD? Is he selling it? P.S Andrew you'll get your c.d soon! By smrtbob in forum Artists Available for Work!